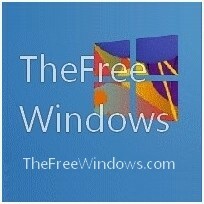 Wallpaper Randomizer is a free and light wallpaper changer. It will let you see a different wallpaper whenever you start Windows, change wallpaper on regular intervals, change wallpaper using a shortcut key, randomize your list of wallpapers. When running it for the first time, you will be prompted to specify where your photos or wallpapers directory is. Wallpaper Randomizer has no user interface and does not write anything in the registry – all functions are controlled through the system tray menu. You can enable or disable it any time. Supported image formats: BMP, PNG, JPG and GIF. Wallpapers are stretched to fit the desktop (an option you can’t change). Another option should also be added, a shortcut key to delete the current wallpaper. * You may like to check also this free Wallpaper Gadget.